The Family Survival Course is composed of a comprehensive guide that equips a person with all there is to know about an upcoming crisis be it economic or natural. The home study course is a must have for those who want to develop a survival instinct that will benefit the entire family. Family Survival is composed of a 279 paged ebook which covers the practical methods including developing the proper mindset to handle a crisis better. It tackles the importance of storing the right foods and storing water safe enough to drink. It even discusses weapons around the house that can be used for self-defence. Developed by Jason Richards who is a survivalist with a military background and training in martial arts and firearms, the advice and techniques contained in the guide are fully tested as Richard relates his personal experiences as he prepares his own family. Family Survival Course discusses each five key factors to survival which is food, water, energy, health and self defense step by step with each of the steps being easy to follow. It also discusses herbal medicine including how to store and use herbs properly. One can learn about the 44 food items needed to keep the family satisfied and well nourished, how to live off the ground, how to make a basic box of food and what plants to grow. It also has a stockpiling solution to keep food fresh as well as information about how to care for an infant. The guide take shelf life and vacuum packing into consideration. Beside educating a person on how to eat well during extreme conditions it details how people can make and store precious drinking water. Ways to collect and purify water (from the underground, rain), how to chlorinate it and what types of containers can be used. Bad weather diseases are also discussed. Family Survival Course also shows how the heater, lights and air conditioning can still be used even without available power. Learn how to build solar panels and wind turbines as well as the materials needed. The course on self defense talks about protecting the family from home invasion and how to thrive in urban warfare situations by identifying common household weapons and how to build a panic room. The Family Survival Course is a complete guide that shows how to deal with incoming disaster winning the mental game which is the key for survival. At a reasonable price the guide can make the difference when the unforeseen happens. 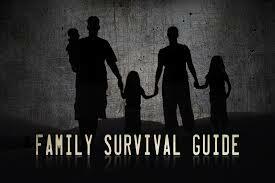 If you enjoyed this Family Survival Course review check out the official website here.